As efurryone knows, Purr Scouts LOVE to celebrate! Now we can help celebrate each other's birthdays! Does someone share your birthday? When is your Purr Scout good furiend's birthday? 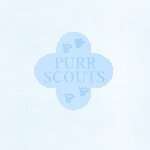 Who is the youngest Purr Scout? The oldest? Inquiring Purr Scouts want to know!